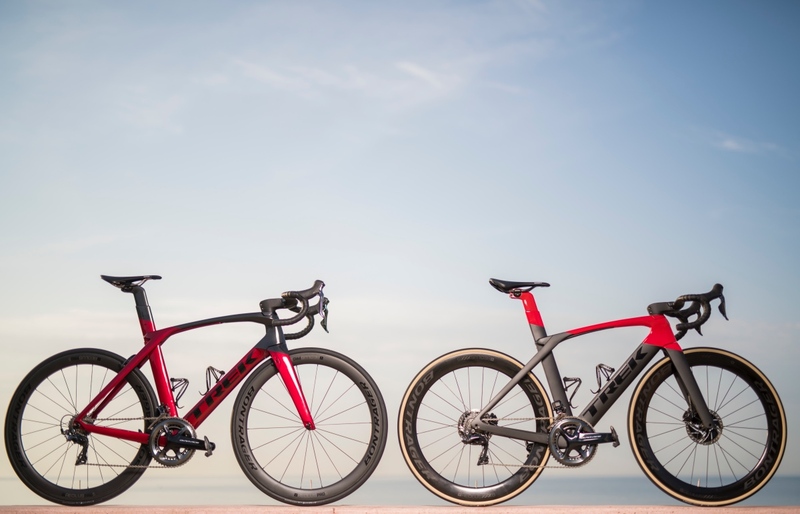 Trek’s Madone race bike is now available in rim and disc brake versions. 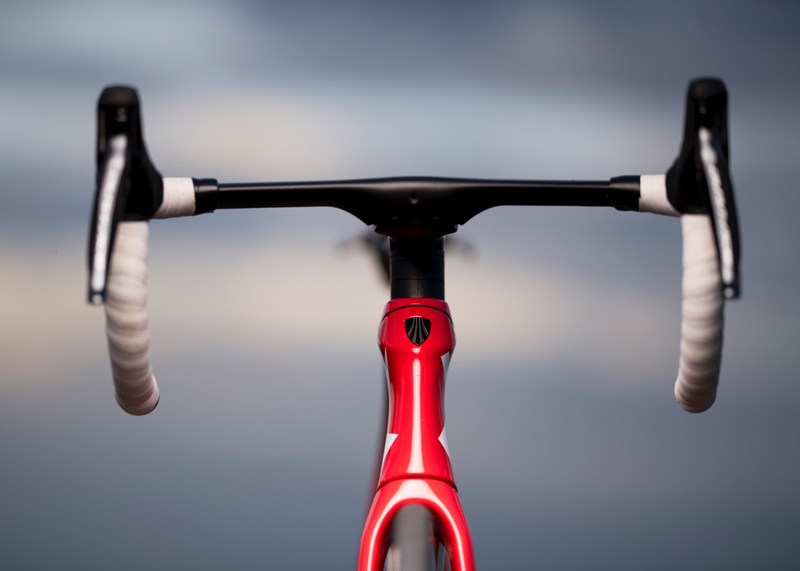 Trek has released the latest generation of its aerodynamic Madone race bike. 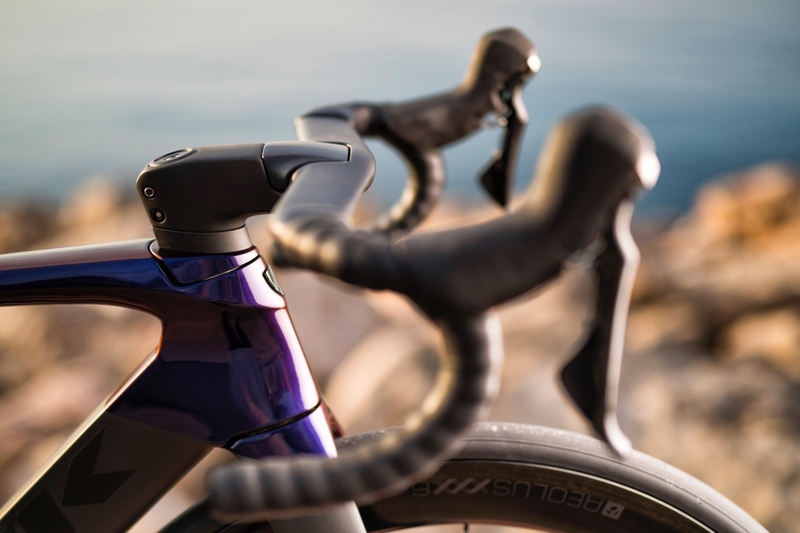 Known for its ability to balance aerodynamics with ride quality, Madone has been updated with key technologies that enhance the bike’s core benefits. 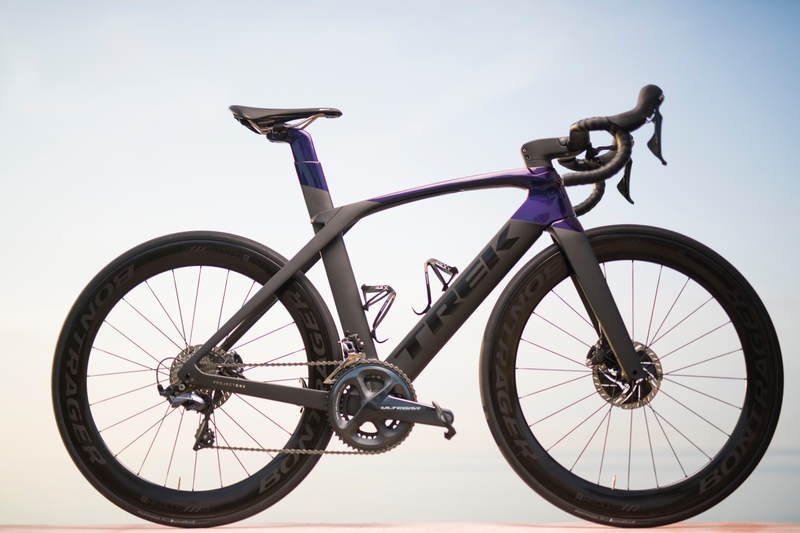 In addition to new features, Trek has widened the bike’s appeal and potential applications by offering it rim and disc brake options. 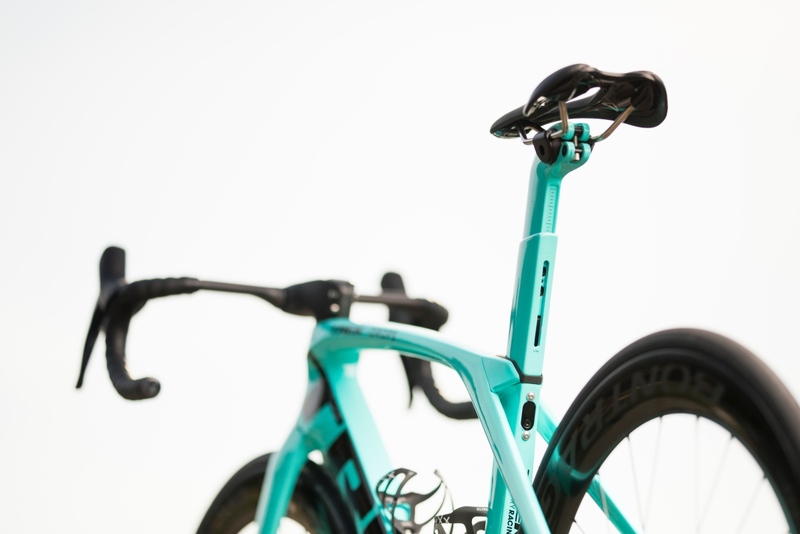 Adjustable top-tube IsoSpeed allows you to customize the compliance to rider preference and terrain. 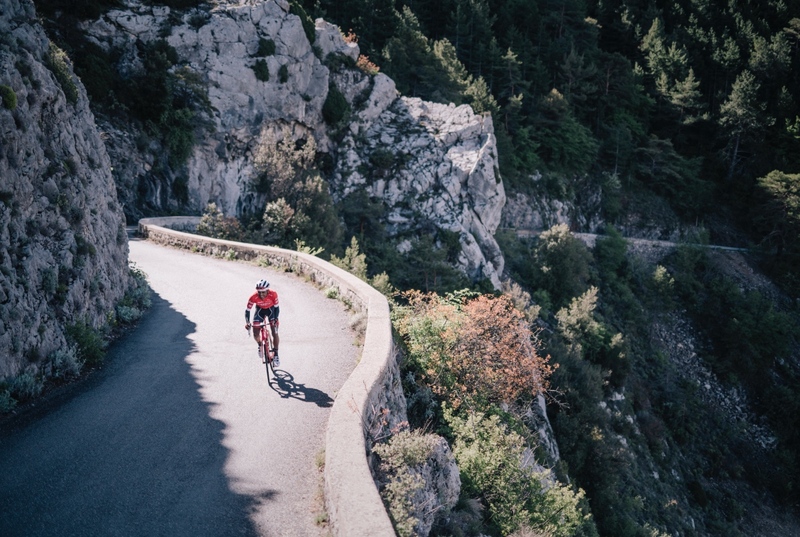 The idea behind IsoSpeed is that it smooths out the road for a sublime ride, and diminishes fatiguing impacts, allowing the rider to remain fresher longer. 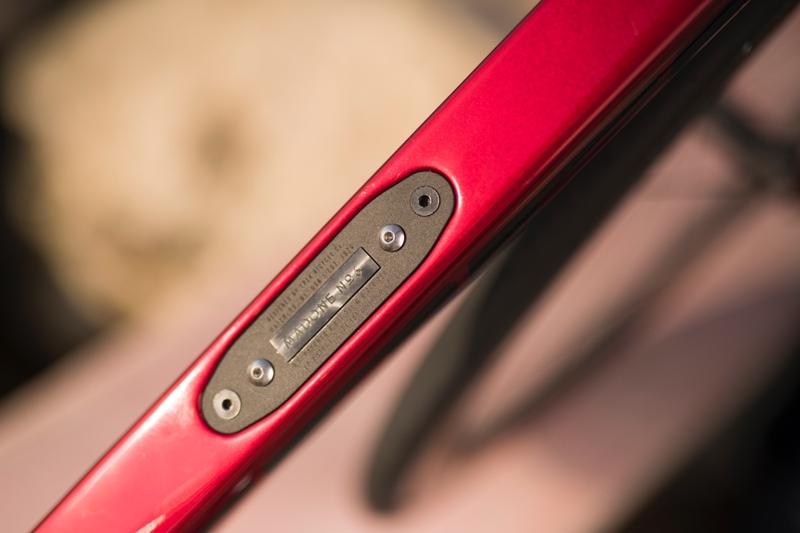 Adjustable IsoSpeed was first released on the seat tube of Trek’s Domane line. 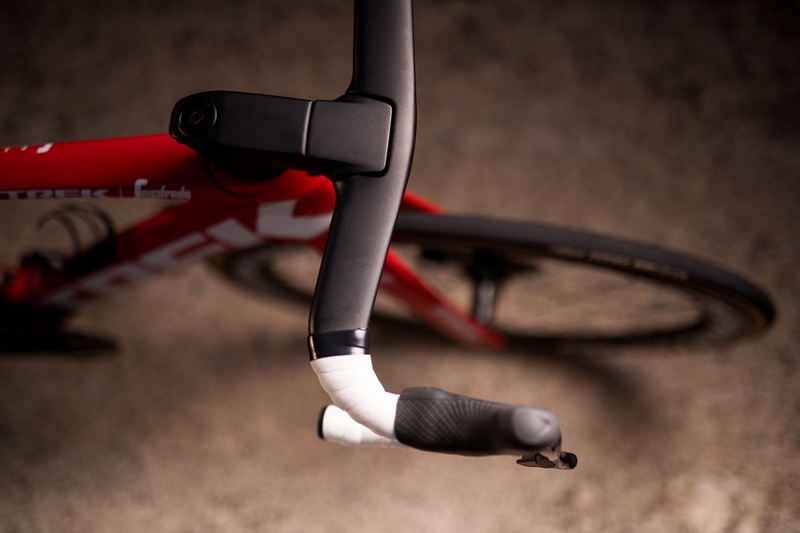 Bar and stem are integrated. 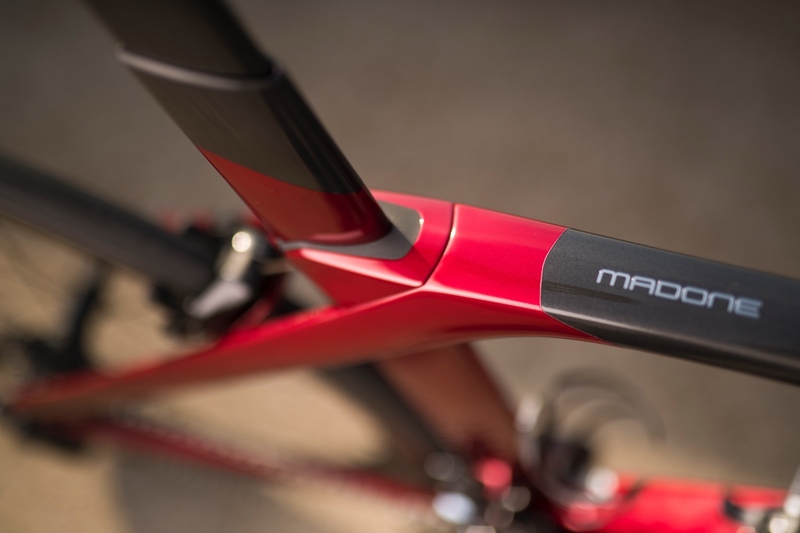 Top tube IsoSpeed on the Madone SLR is adjustable to customize the compliance to rider preference and terrain. 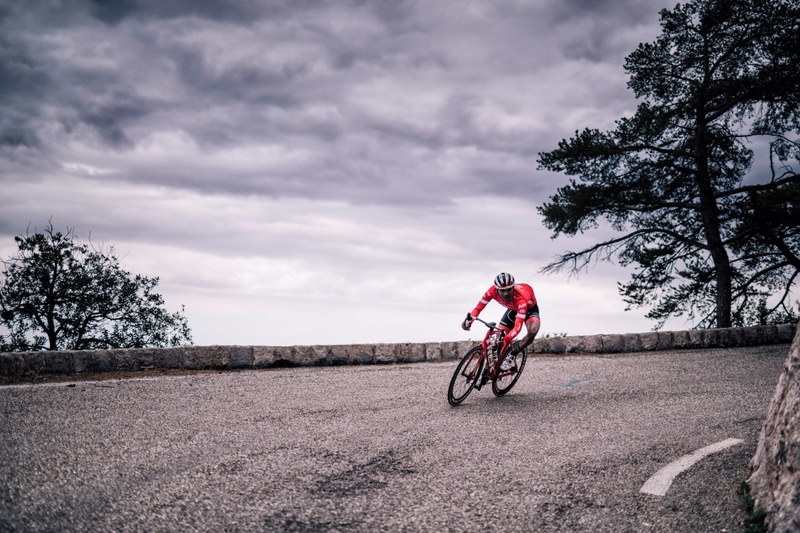 The new Madone is up to 17% more compliant over its predecessor when set to the most compliant setting and 21% stiffer in the stiffest setting. 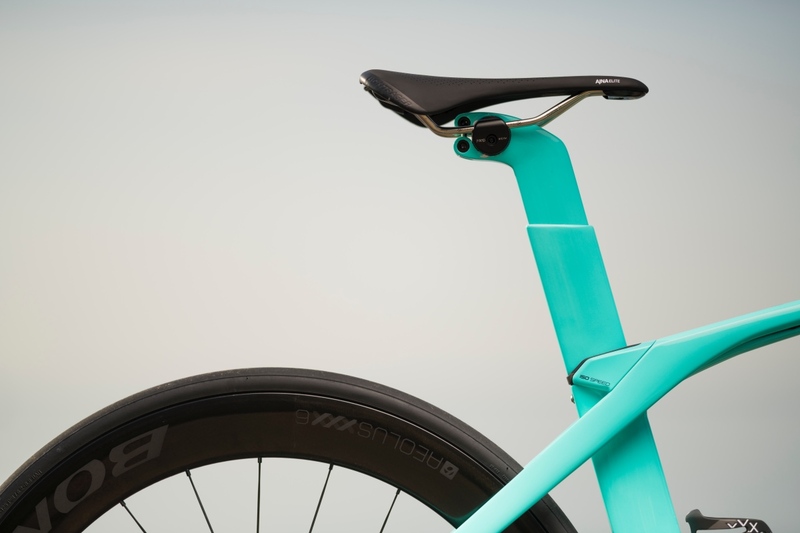 Top Tube IsoSpeed is damped to rebound in a smooth and controlled motion providing the rider more stability. 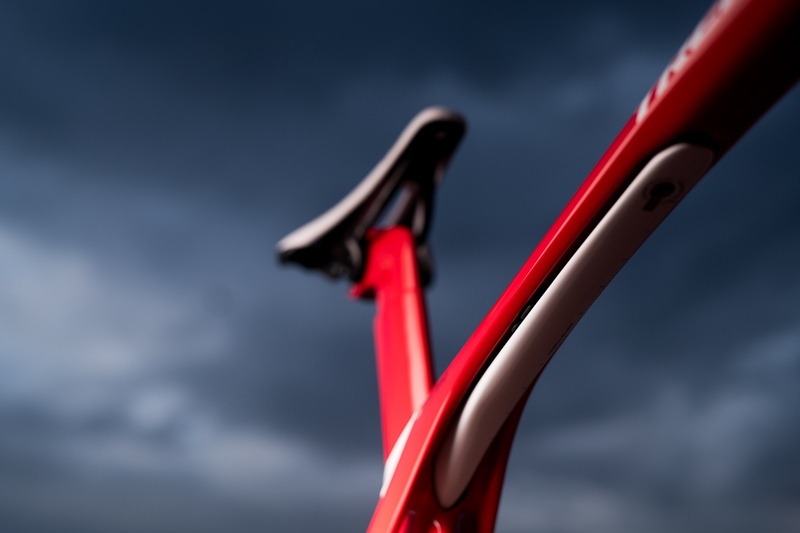 Rebound is reduced by 13% on the new Madone SLR over the current Madone. 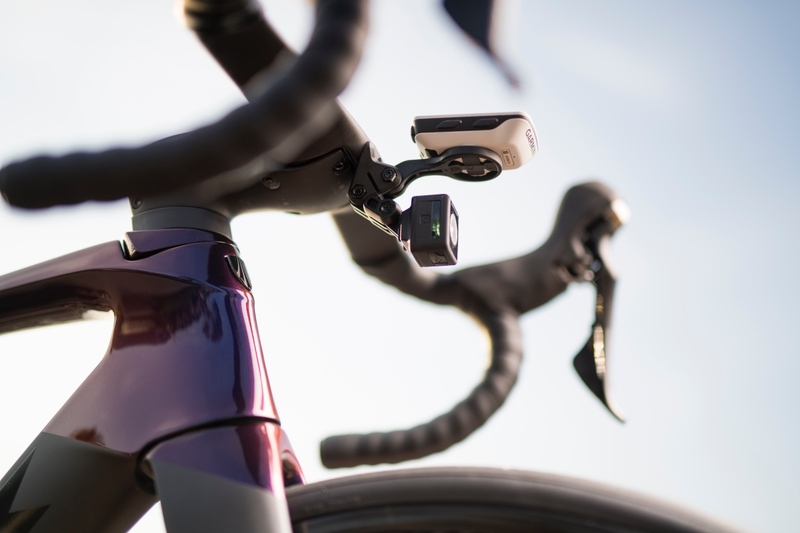 The adjustable IsoSpeed means you can tune compliance across all frame sizes. 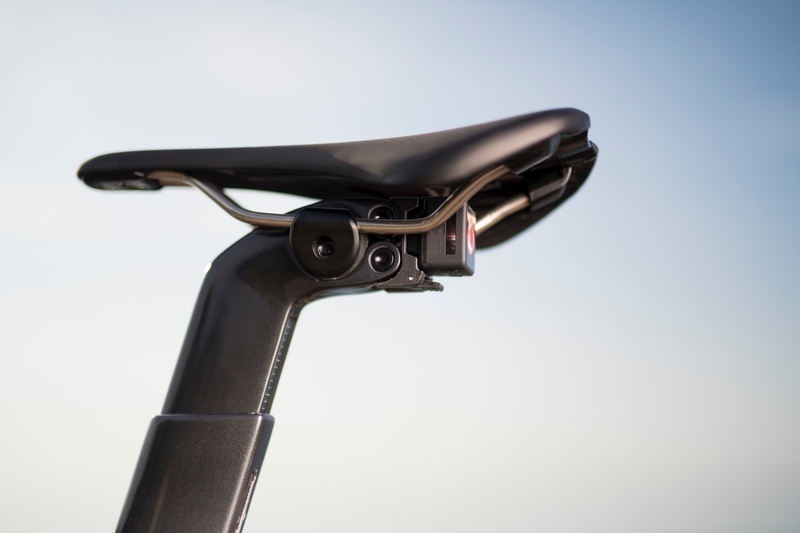 Another benefit of this new technology is the ability to closely match vertical compliance values across all frame sizes since the top tube seat mast is of similar length. 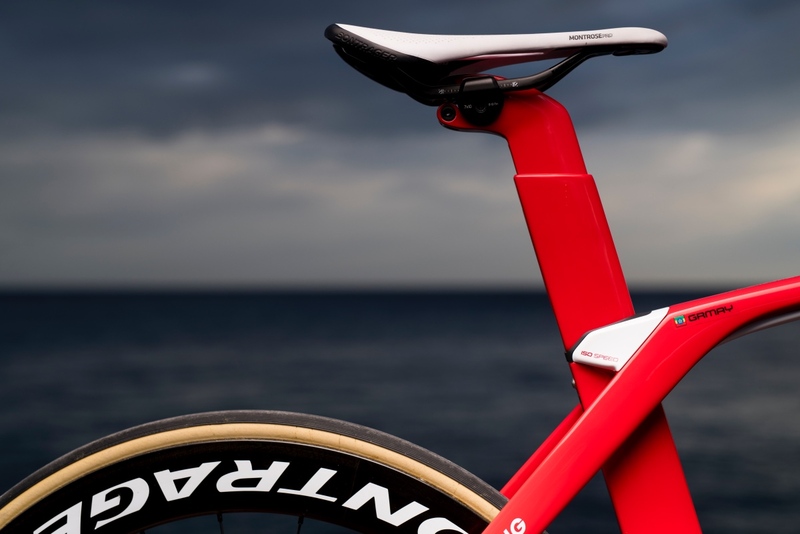 No matter what size bike you ride, you will benefit fully from IsoSpeed compliance. 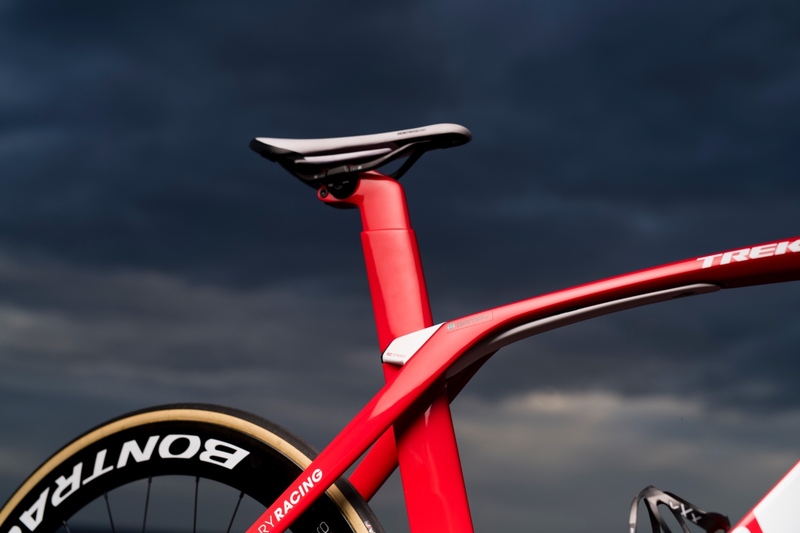 Each element of Madone serves the goal of integration to enhance performance, says Trek. 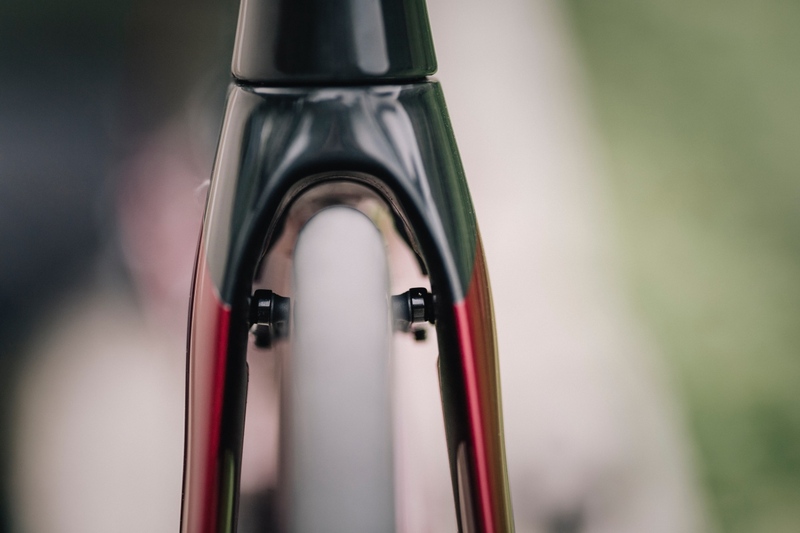 Madone SLR comes with both disc and direct rim brake options. 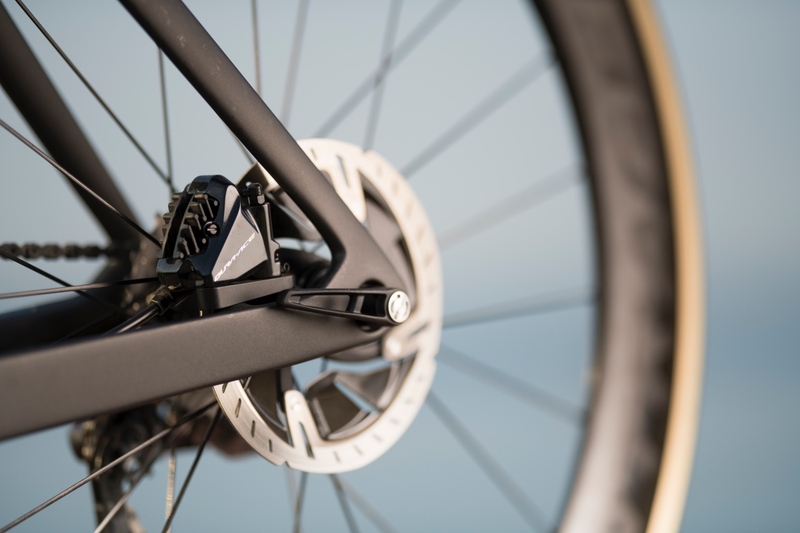 Both brake technologies are fully integrated into the frame’s overall design. 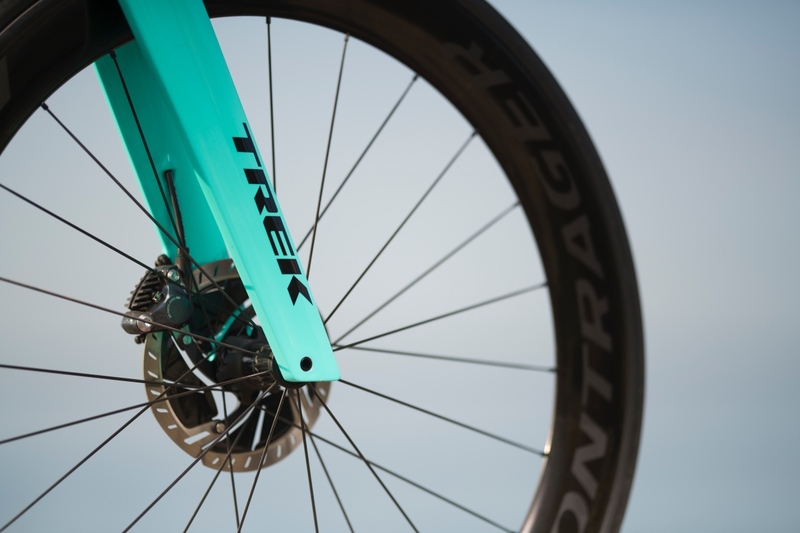 The rim brake version is lighter with the brakes molded into the frame’s design and hidden from the wind. 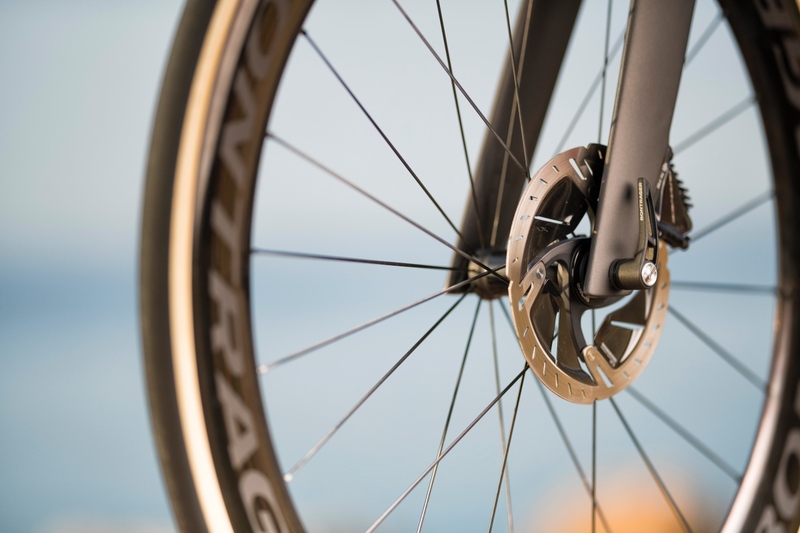 The disc brake version provides improved stopping power without penalty to the bike’s aerodynamic profile. 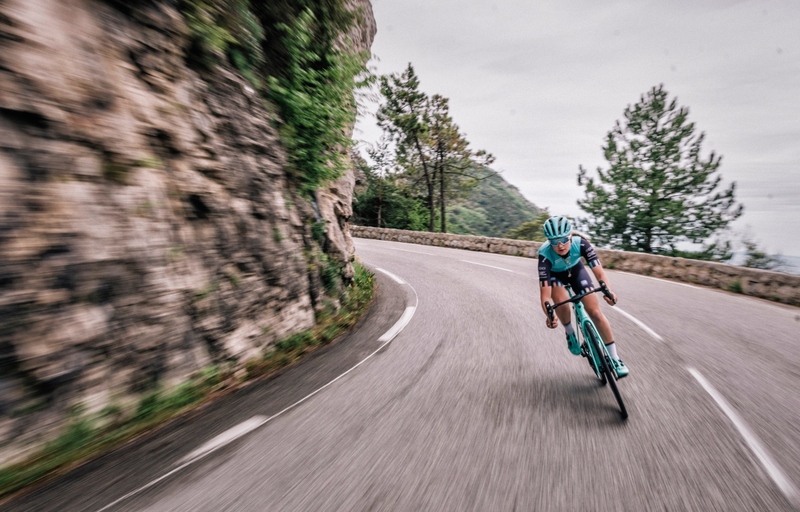 Even the busy cockpit can be kept clean. 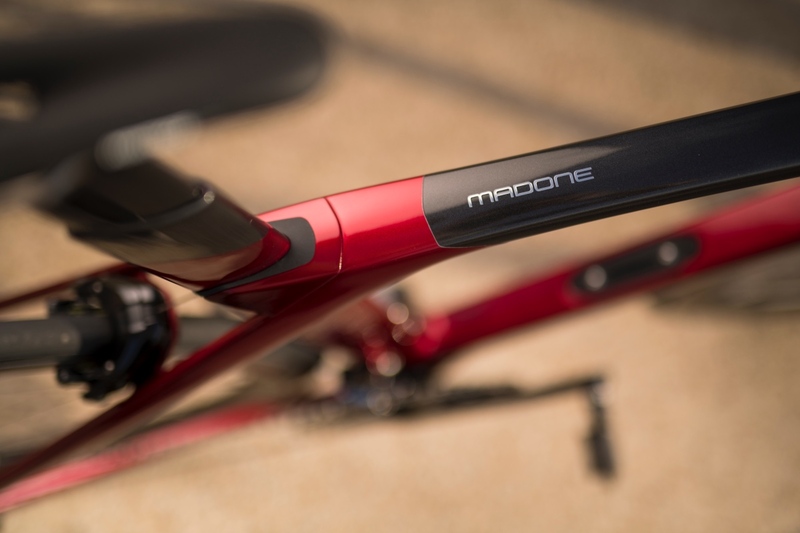 Madone SLR provides riders more stem options and additional bar sizes and +/-5 degrees of bar rotation. 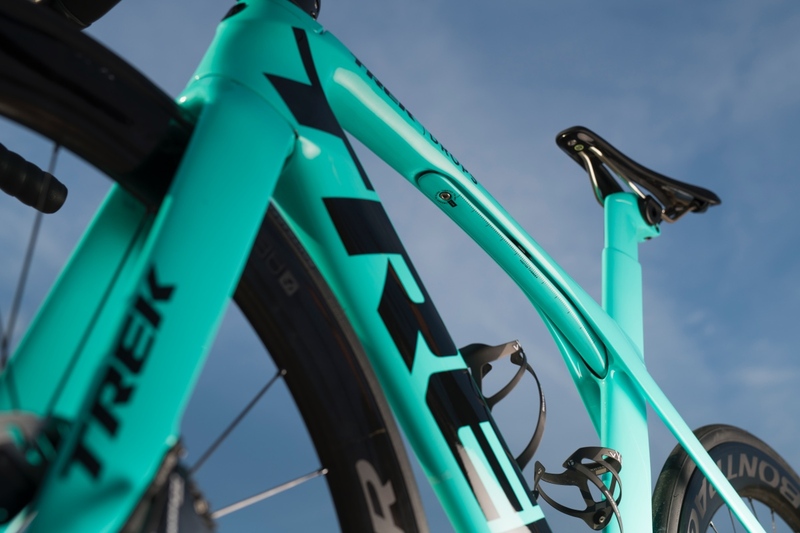 With this new fit update, Trek offers a broad spectrum of possible race fits for men and women with an integrated aero cockpit. 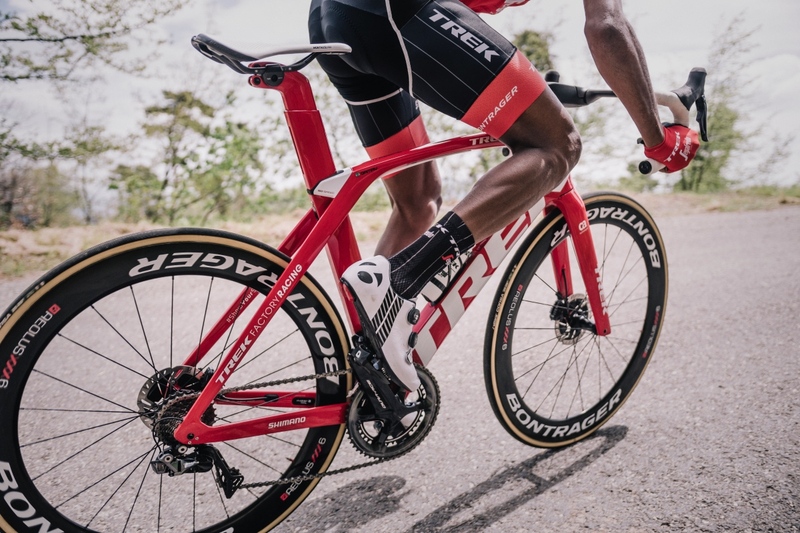 Developed in partnership with the Trek-Segafredo and Trek-Drops professional cycling teams, Madone SLR features a new H1.5 geometry that puts the rider in an aero race position. 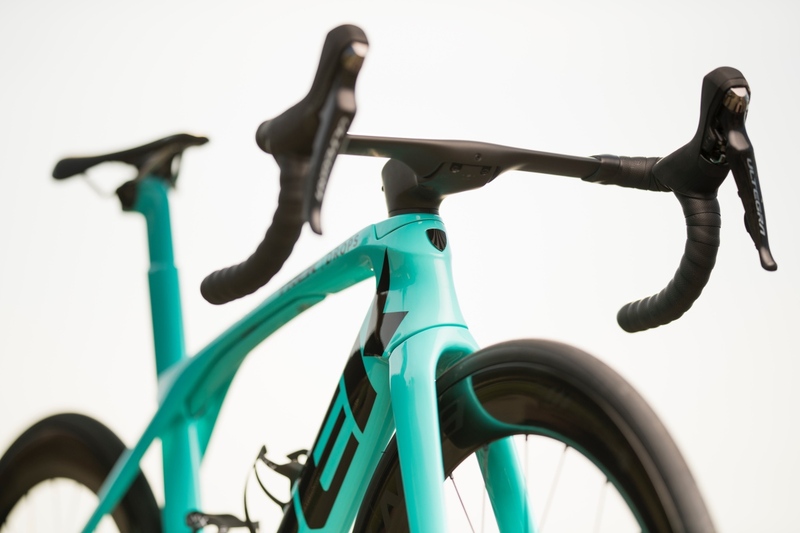 H1.5 hits the sweet spot for a wide range of racers, as it balances a traditional aggressive race geometry with a position that more athletes can hold longer with more comfort. 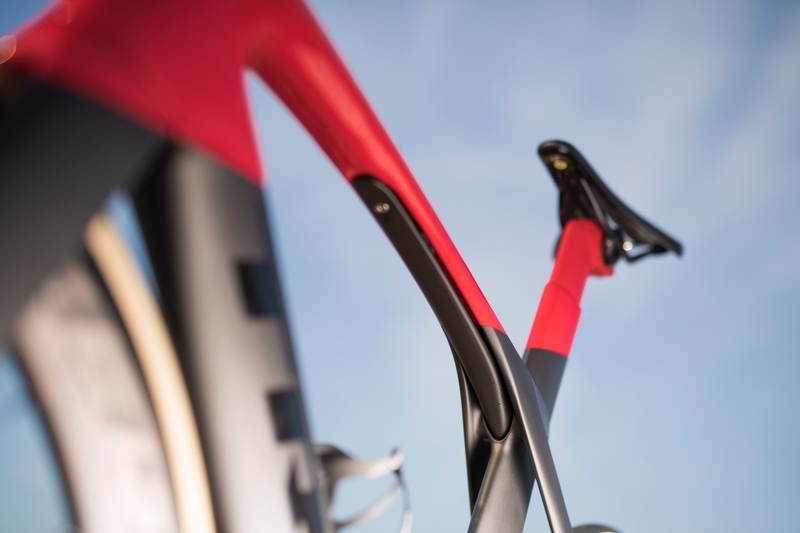 Madone SL feature H2 Geometry, which is more upright. 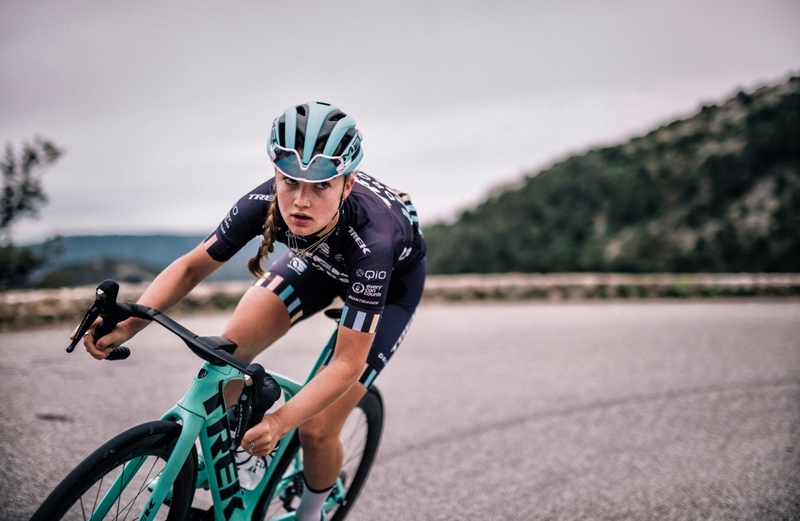 Abi van Twisk (GBR/Trek-Drops) training up the Col de la Madone. 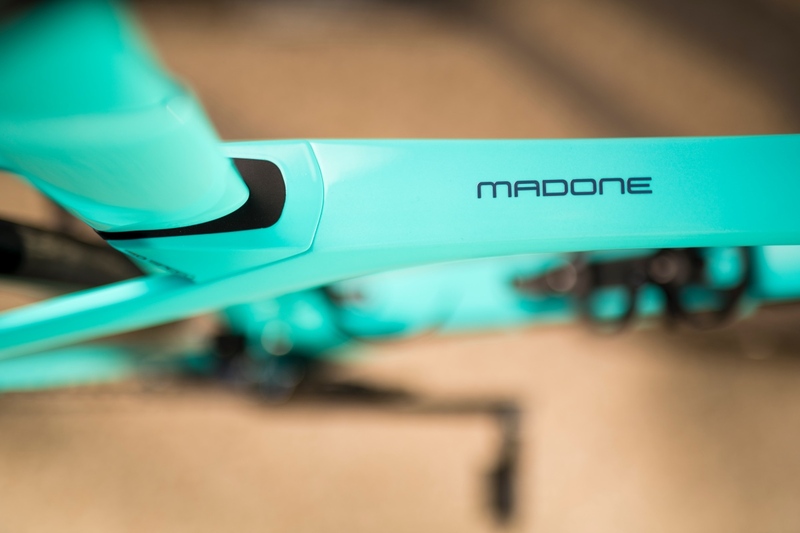 Madone SLR comes in both men’s and women’s specific models. 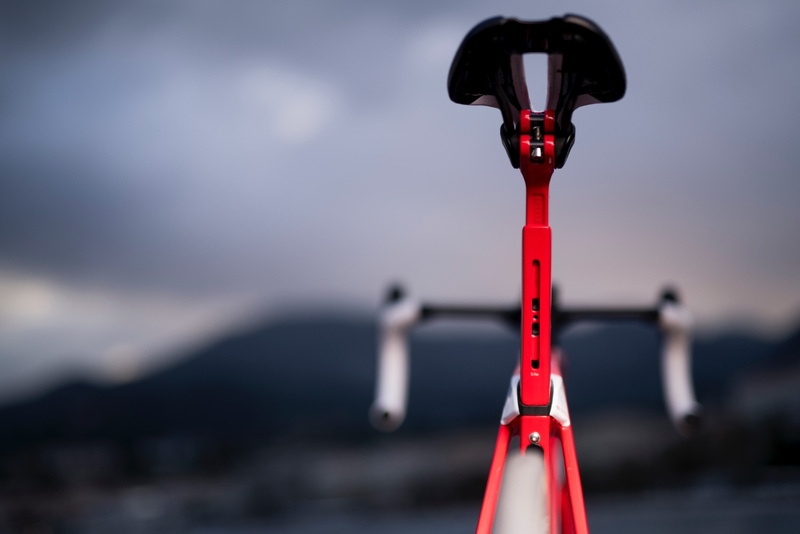 Both feature the same frame platform. 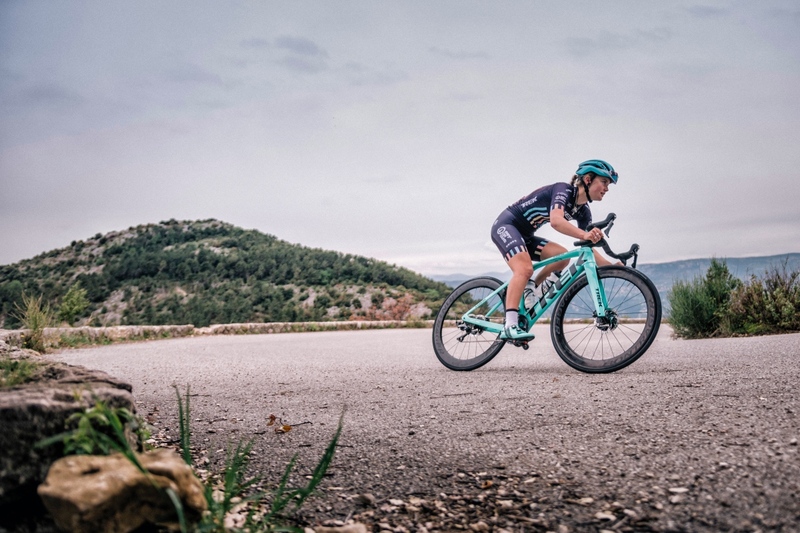 Women specific touchpoints like saddle, handlebar width and stem length that are spec’d to fit most women better from the start. 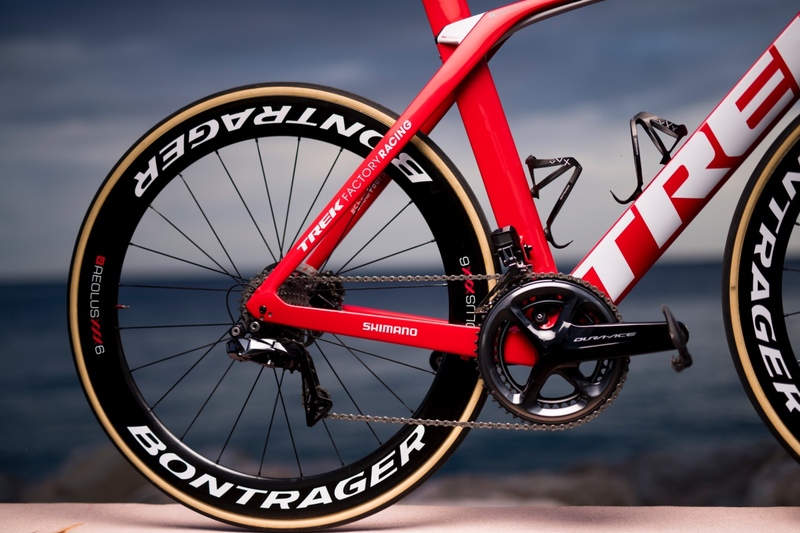 Currently being raced by the both the Trek-Segafredo team at the Tour de France, the new Madone is available for purchase now. 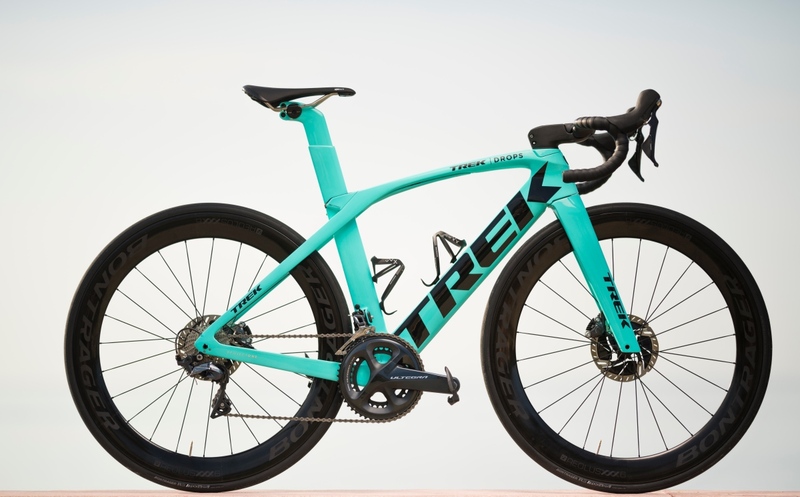 Learn more at trekbikes.com. 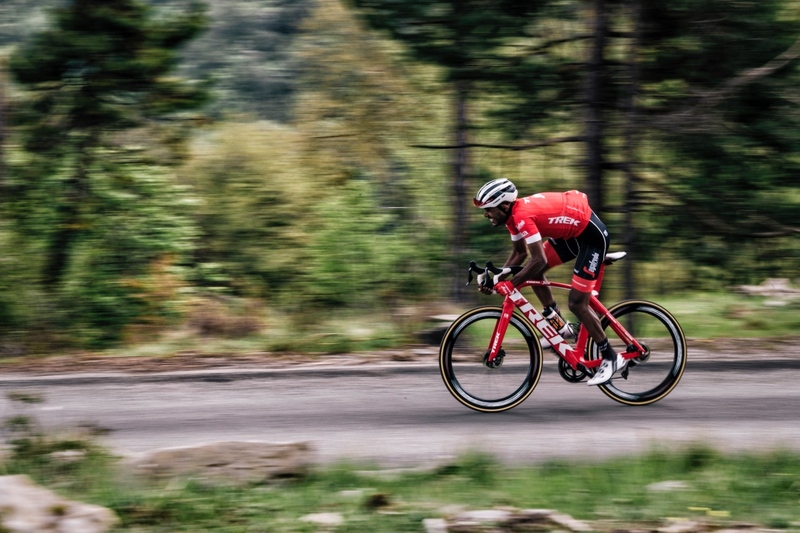 Tsgabu Grmay (ETH/Trek-Segafredo) training up the Col de la Madone. 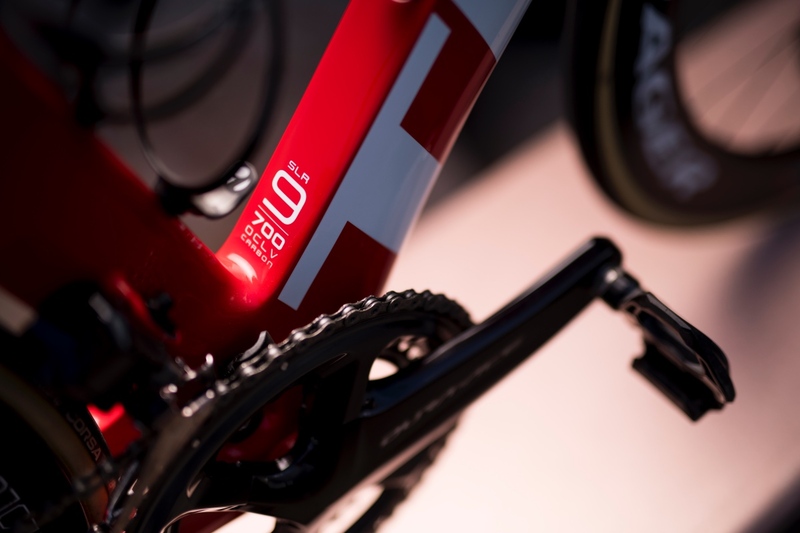 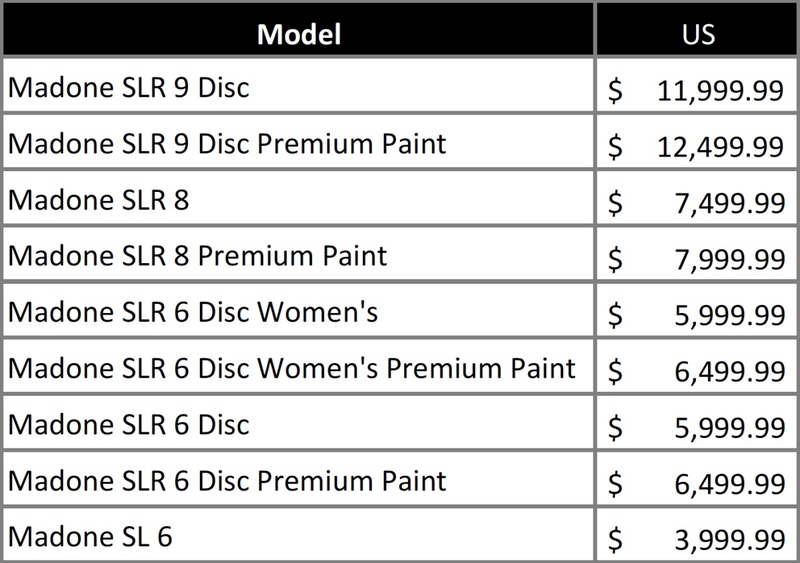 What if I want my own Zipp 808’s on the non-disc frame; would their be a ‘buy-back’ from TREK on the Bontrager wheelset?